Canmake Airy Cover Fit Foundation is available in 2 shades. 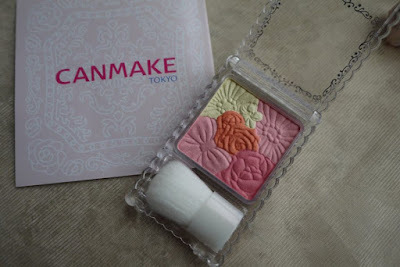 Canmake Glow Fleur Cheeks is a very pretty blush, offering 5 colors in one pan. It’s easy to use, just sweep all the color with a brush and apply on your cheek. 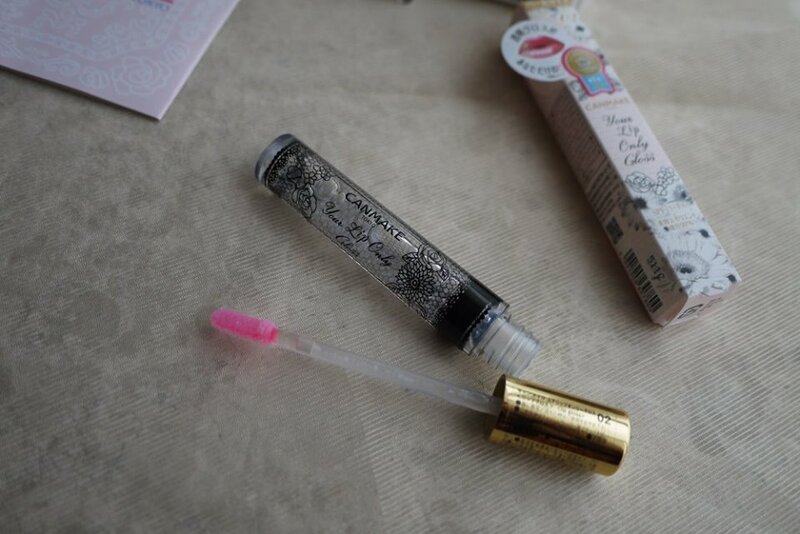 It will create a delicate flush instantly, the finishing is natural and soft. 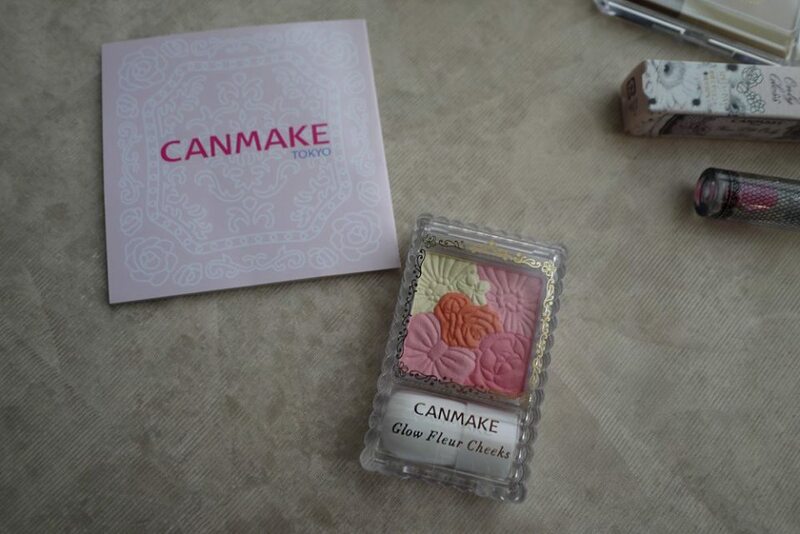 Canmake Glow Fleur Cheeks is available in 7 beautiful shades, and its come with a mini soft and fluffy blusher brush. The color is very soft and natural on your face, but not too light. I have been using eyebrow powder for years, and I swear this is the cutest brow powder I have ever seen. 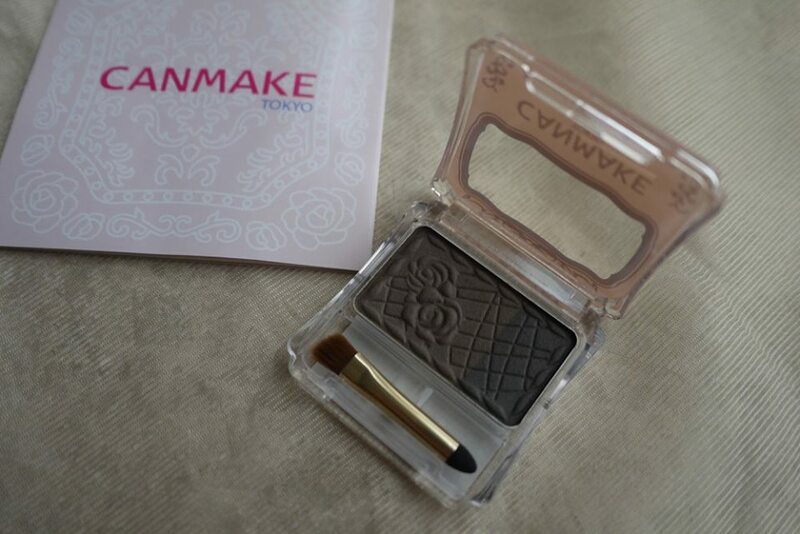 Canmake Natural Chiffon Eyebrow has duos of dark and light shades, which made it easy to create beautiful and natural brow effects. 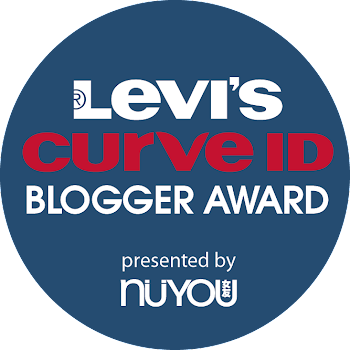 The texture is fine, while the coverage is lightweight and soft. 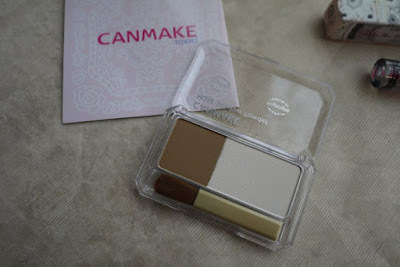 Canmake Natural Chiffon Eyebrow is available in 4 shades, you should choose the shade that is most matching with your hair color. This beautiful gloss turns pink as it reacts with moisture on your lips, so the precise shade and depth of color is differ from one wearer to another. 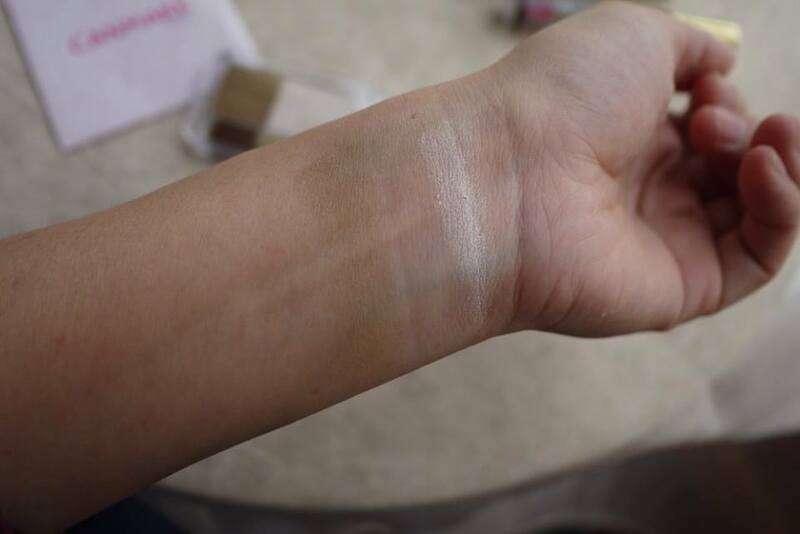 Comes in 4 shades, I love the vivid color of shade 02 a lot. Canmake Nose Shading Powder let you create a sharp and higher nose instantly. 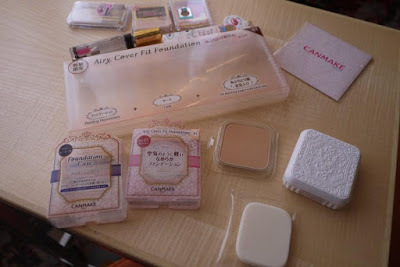 The powder pack consist of a highlighter and a shading color, apply the highlighter color on the bridge of your nose, and apply the shading color on the side of your nose to enhance the nose’ height in the blink of an eye. 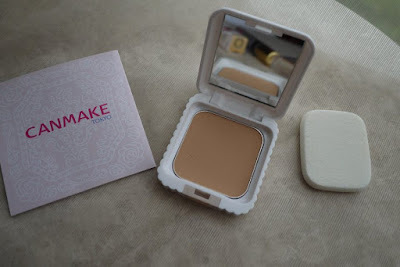 In fact, I am using it to contour my face too, talking about multi tasking product. 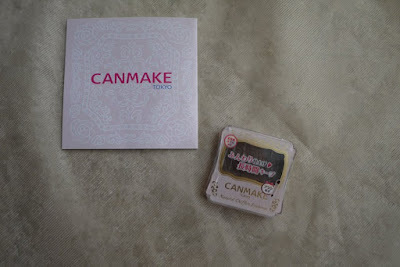 Canmake Nose Shading Powder is available in 2 shades. 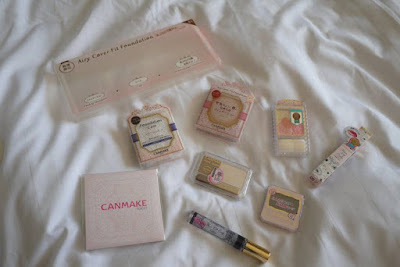 Do you like my Makeup of the day using Canmake products? 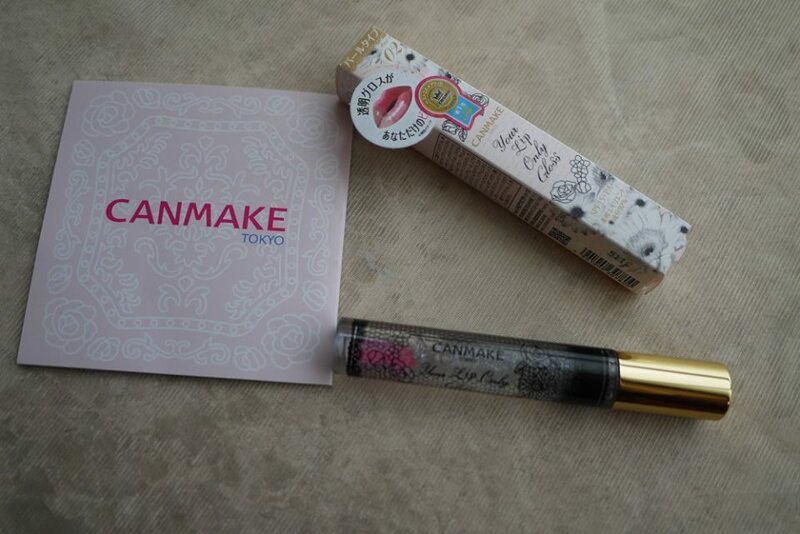 Canmake is available at SaSa, Aeon Wellness, Guardian and Aeon Departmental stores in Malaysia. I like the Canmake coz it gives you that freshly face look, like a sweet lady :) And not too extreme :) Very nice!